The binding interactions between acetylcholinesterase (AChE) and a series of antioxidant flavonoid analogs were studied by fluorescence spectroscopic assay. The present study incorporated different classes of naturally occurring and synthetic flavonoid compounds like flavones, isoflavones, and chalcones as well as a few standard antioxidants. 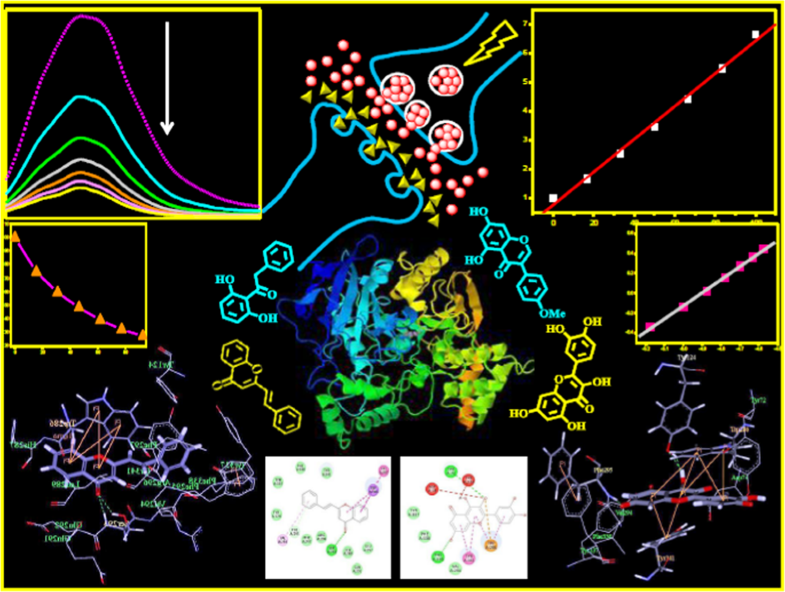 The AChE inhibitory (AChEI) activity of these compounds was further analyzed using in silico techniques, namely pharmacophore mapping, quantitative structure–activity relationship (QSAR) analysis, and molecular docking studies. We have also compared the AChE inhibitory and radical scavenging antioxidant activities of these compounds. 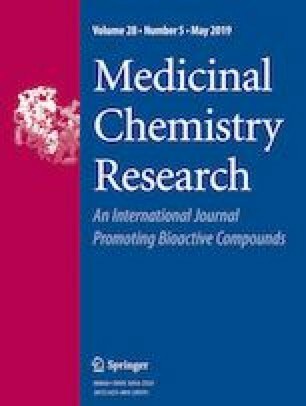 Both the AChE inhibitory and antioxidant activities of these compounds were found to be highly dependent on their structural patterns. However, it was observed that, in general, flavones are comparatively better AChE inhibitors as well as antioxidants compared to chalcones. The online version of this article ( https://doi.org/10.1007/s00044-019-02330-8) contains supplementary material, which is available to authorized users. The authors thank the SERB-DST [Sanction Order No. SR/SO/BB-0007/2011 dated 21.08.2012 to NAB]. AK and TM thank UGC-CSIR (NET) and UGC-MANF, respectively for their fellowships. The authors thank the Department of Chemistry, Visva-Bharati and its DST-FIST and UGC-SAP (Phase-II) programs for necessary infrastructural and instrumental facilities.